I define “Path to Sales Mastery” as a constant evolution and conscientious effort to grow and evolve daily. This includes consistent product training, practice, and coaching by leadership. Yes, it’s true that in-store media solutions could help you connect with your customers, enhance your brand image and grow your business. However, it takes deep-stream technical knowledge and a formidable team to scale the new heights in digital advertising and sales. 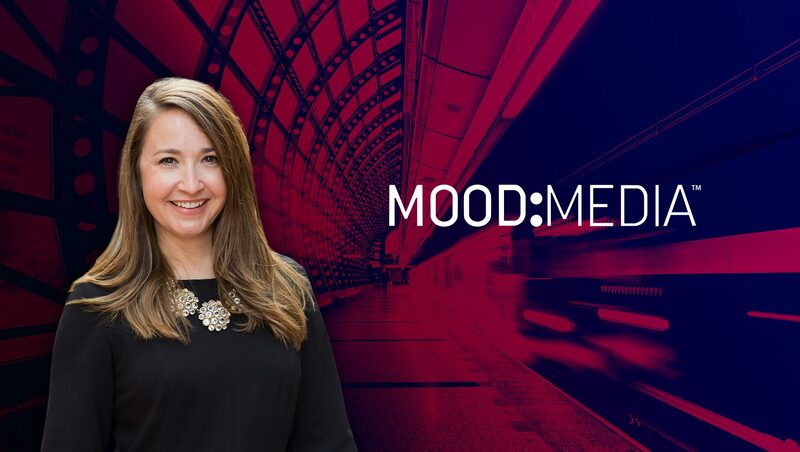 Jaime Bettencourt of Mood Media reveals how her company delivers a conversational platform for the customers at an unprecedented scale and more about her idea of mastering Sales strategies. Tell us about your journey as a sales pro? How do you leverage sales technologies to stay on top of your game? 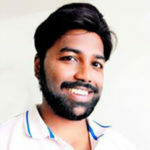 My journey actually started in the marketing department of our company — Mood Media. I launched my career with traditional marketing, brand management, product management and event planning roles and then moved into a national marketing role for the sales organization. It was there that I figured out that I could make an impact on the sales side. It felt like a natural progression and I always believed that being close to the client and being a revenue driver is the best place to be in an organization. I started managing a portfolio of Fortune 100 accounts and was responsible for both retention and growth. I loved the client strategy work and was able to marry my marketing skillset with creative and ultimately sales. I worked my way up the organization and now run a $75 Million annual recurring business unit for Mood Media. My team includes portfolio managers as well as executives across sales, brand strategy, and business operations departments for our global client accounts. One of my favorite sales technologies is LinkedIn and LinkedIn Navigator. It is a great tool for connecting directly with people, understanding organizational structures, the latest market trends and what’s important to individuals at the moment. I use it almost every day to stay relevant. At Mood Media, we provide very personalized experiences to our clients. So delivering conversations at scale can definitely be a challenge, specifically with my sales channel. Our clients expect a solution designed to meet their individual brand objectives. We deliver at scale through a core framework and design philosophy, but we also craft a strategic and customized point-of-view for each client. How do you define and build “The Path to Sales Mastery” using Pipeline Management and Analytics? I define “Path to Sales Mastery” as a constant evolution and conscientious effort to grow and evolve daily. This includes consistent product training, practice, and coaching by leadership. I use pipeline management and analytics through our Oracle Sales Cloud Tool to understand product mix, sales stage, vertical industry, and year over year performance. Leveraging CRM data is a must for any successful sales leader to understand directional trends and when and where to adjust overarching strategy. Define the ‘State of Sales Transformation’ in 2018? How do you leverage People Management resources to adapt to this transformation? When I look at the State of Sales Transformation, I am really seeing an evolution of expectations from buyers. There are a wide range of buyer personas within an organization from marketing/brand, technology, store operations, and strategic sourcing, so my team needs to be well versed in the pain points and objectives that are top-of-mind to each of these personas. This can make large and complex enterprise sales difficult to manage and navigate. Buyers want a consultative sales executive who brings a point-of-view, presents a solution that makes sense to their business and is someone that they want to partner with long-term. It also has to be someone they can trust, so developing rapport and mutual respect is key. My leadership team is constantly working with our team members on tactics, strategy and how to develop customized solutions. Our sales goals this year are to increase over 30% year over year in multiple categories – both in recurring and one-time sales. We also have a very large retention goal this year for our client base. Sales coaching occurs ongoing every day and leadership regularly attends client meetings to provide real-time training, guidance, and feedback for our teams. As for onboarding, I am very lucky that my team is extremely tenured, and in the past several years the majority of our new hires have already had industry experience. As a result, they’ve been able to jump in pretty quickly since they already have a baseline on the industry, which just leaves learning our internal company objectives, culture, and organizational layout. Our on-boarding process is probably more informal than most and we rely heavily on team member knowledge and processes. How should sales organizations strategize and deliver on their Contact Data and Revenue Management budget? It’s important for companies to leverage contact data to help lead to revenue management. We keep our clients up-to-date on the latest industry trends and share case studies within their verticals and across industries to help them learn best practices for elevating the Customer Experience. We are constantly looking to bring innovative ideas to the table for our existing base of contacts. Closing deals faster … If I had a magic wand, this would be something I would personally change for our business. Our typical sales cycle can be anywhere between six and eighteen months, sometimes longer depending on circumstances. Sales executives and portfolio managers need to have a very specific understanding and knowledge base about each prospect’s contract terms, budget, intent to purchase and the need to buy. We also must have a full view of the technology requirements and capabilities of our prospects before we can offer specific solutions. Our products are bespoke which leads to a lot of opinions in the room. In order to be successful, we need to have command of the sales cycle and direct the prospects in a clear path to closure. Easier said than done. Sales technology and intelligence are evolving every day making it easier to work. Baseline tools like CRM, Customer Data/Analytics and Preferences, Account-Based Marketing tools, etc. will always be improving. But I also think there is undeniable value in the human touch, especially for highly customized media solutions. A face-to-face meeting and an old-fashioned call still go a long way in furthering a relationship. Thank you, Jaime, for chatting with us on Pipeline Management and Analytics!